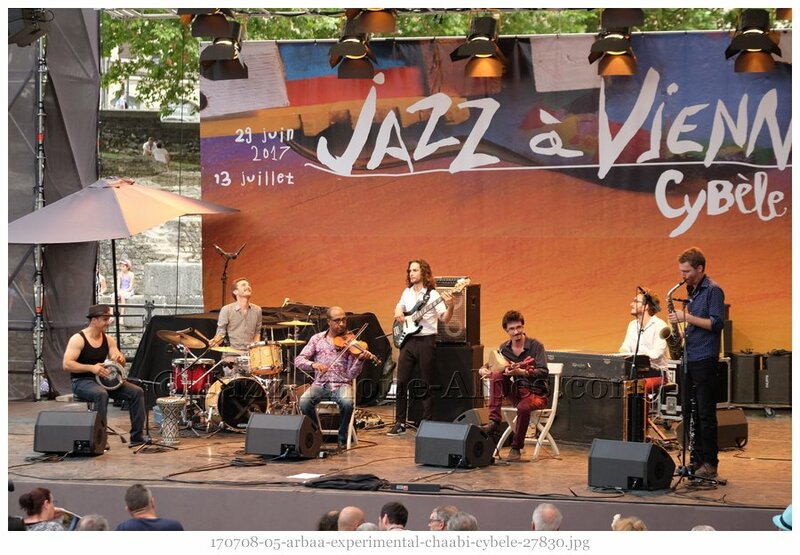 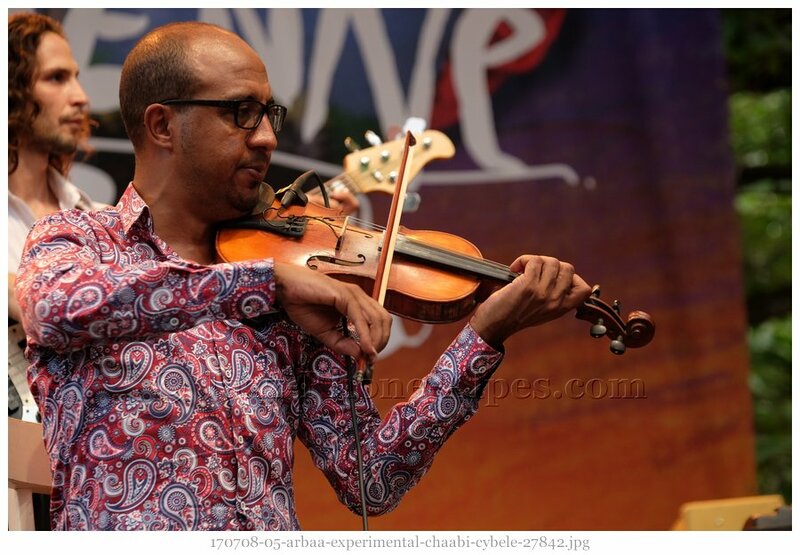 ArbaA Experimental Chaâbi is a spatio-temporal whirlwind, an exceptional instrumental encounter, through original compositions, between the popular Moroccan music ‘chaabi’ and the hypnotic trance of the quartet ArbaA [from the Drome region]. 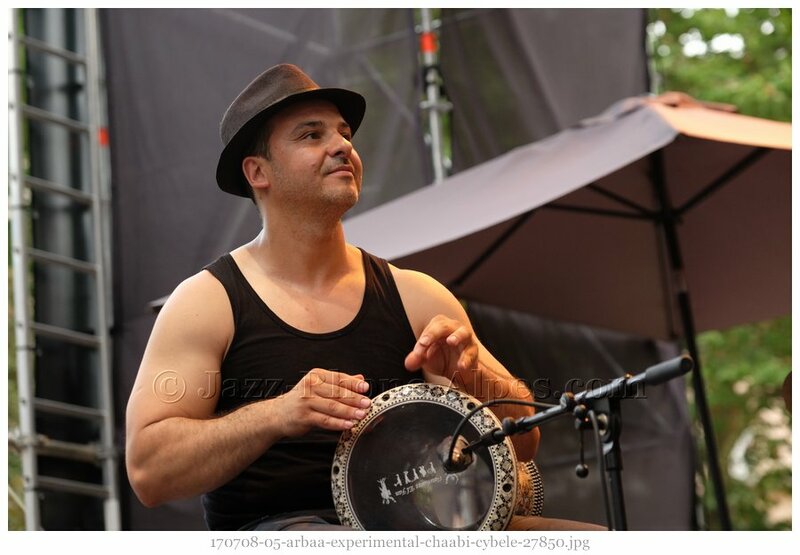 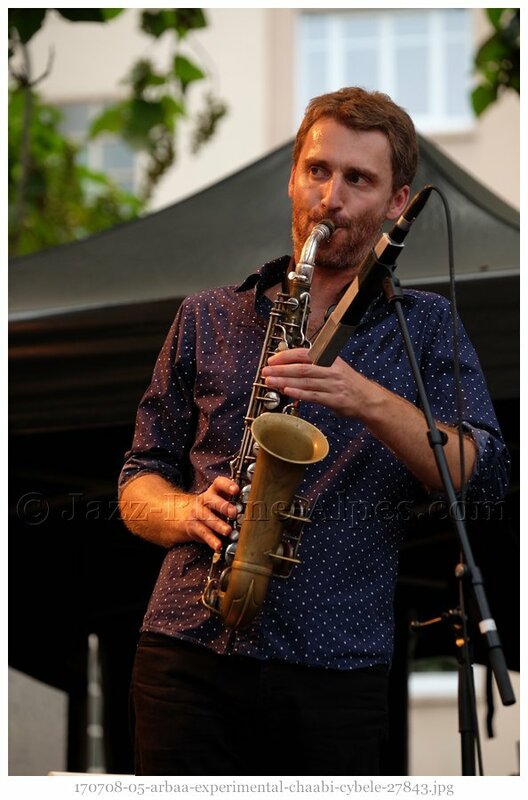 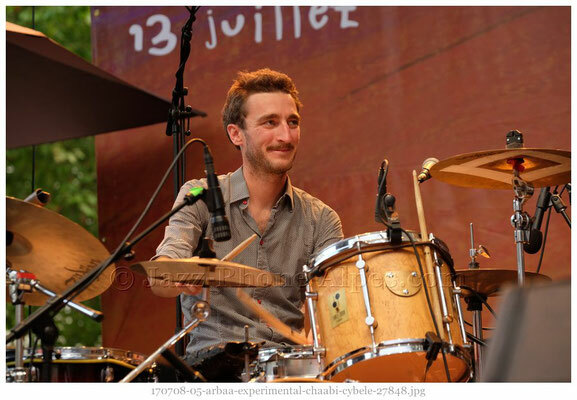 Over many years, the drummer, Clément Black, has visited Fes regularly to study with a great master of Moroccan percussion, Said Idriss Oudghiri. 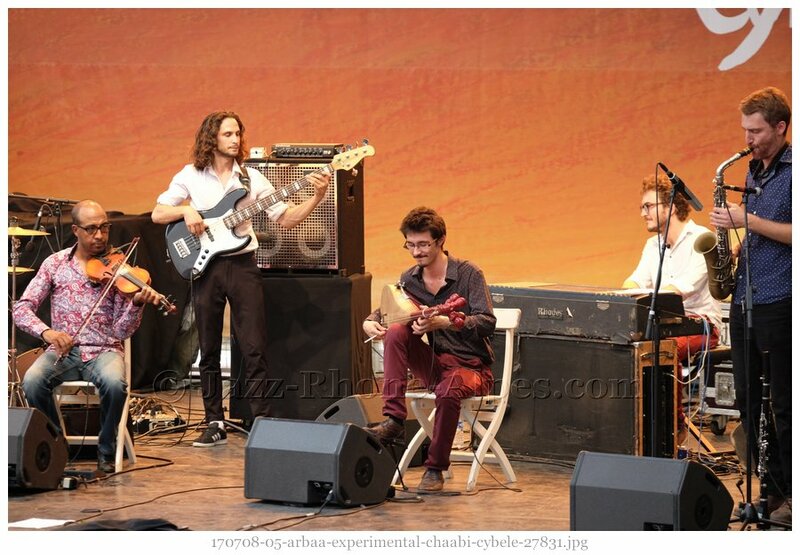 In the course of his learning, an idea was born to bring together his repetitive groove jazz quartet with three musicians living in Fes: his master, a violinist specialising in chaabi, and a lotar player (Amazigh lute).